The City of Tucson Proposition 407 photo-realistic renders provided the public with images illustrating before and after conditions related to the Connections projects included in the City of Tucson Proposition 407 bond package. The renderings included a before photograph juxtaposed with a rendered image showing improvements, including signage, street markings, crosswalks, landscaping, passive water harvesting, and a roundabout. WDG also provided animated GIFs to the City for each project that could be shared across social media platforms. 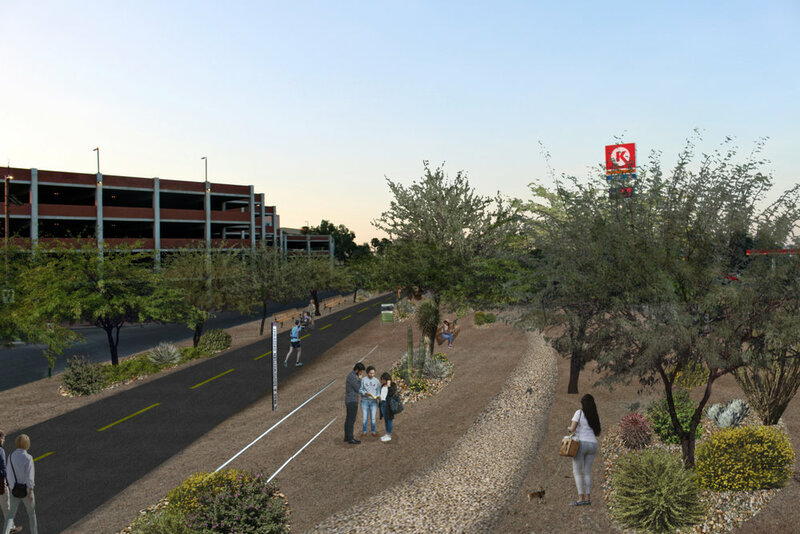 The final renderings were included on the informational website for Proposition 407 and shared on City of Tucson social media accounts and slideshow presentations.